Its December and here is the final monthly box for 2015 which I chose in November which is the curated Winter Essentials (I was SOLD win I saw the chocolate!). With an upcoming wedding for my sister this upcoming weekend (December 19) and next weekend will be Christmas, I knew I would need items to keep me polish and happy for this month's upcoming events! One of the reasons, that I picked this Winter Essentials box was for this chocolate when I need a little chocolate therapy! As soon as I opened my Birchbox, it was "GONE IN 60 Seconds"!! Great taste and only 60 calories so there is less holiday guilt!! Next, I tried out this hand cream on my dry winter hands and it smelled instantly coconuts as I rubbed this balm on my hands (actually the consistently when it came out was more lotion than balm, which are usually thicker)! Great to keep on hand near the sink after washing hands with the cleaning and preparing for the upcoming wedding and Christmas! 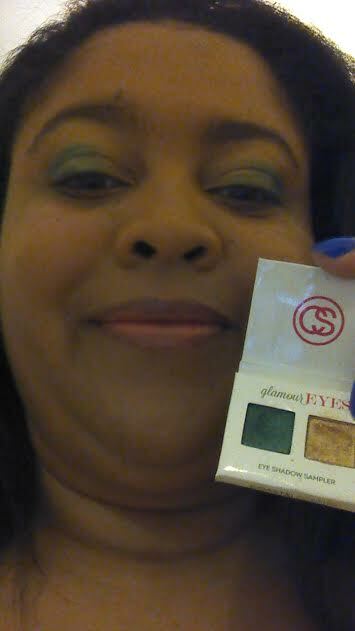 I was a little confused as most of the bloggers that I have read when they received their Winter Essentials Birchboxes...I have received the Green/Gold duo in "glamourousEyes" instead of the "Classic Pink/Mauves" in formalEyes! 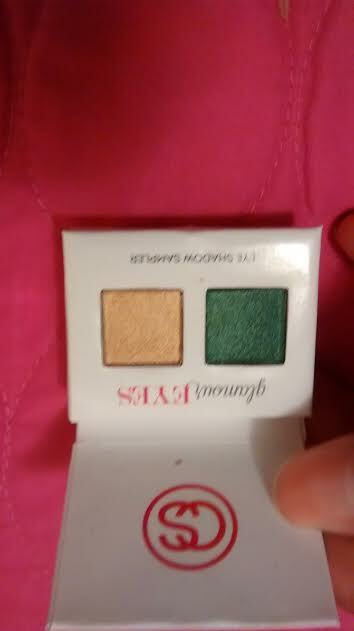 I will definitely contact my concerns about this to Birchbox but I will make do with this duo since they are in festive colors for the Holiday Makeup looks! I needed this skin scrub for my dry facial skin which I used for 3x week before applying both my skincare and/or makeup!! This is a great brand that I have heard of and can't wait to try it on my face! For my dry, relaxed hair I am always glad to use a good leave-in conditioner to moisturize and protect my hair for the blow dryer!! This brand is new to me but I am willing to give it a try for several upcoming wedding activities and Christmas!! Before Birchbox, I have heard great things about Jane Irredale for offering natural beauty in their products! 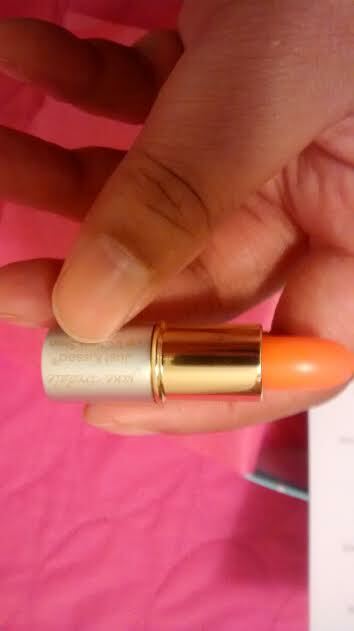 I have my doubts about this cheek/lip stain in Peach but I will give it a try in my holiday makeup routine! Anyway, I do need to take a little break from my usual pink lipstick/gloss/stain items! Here is the update on the items that I used for the above hair and makeup looks! I tried and loved the eSalon Leave-In conditioner in after shampoo and before blow drying! This leave-in made my relaxed hair feel conditioned, perfect for detangling, and protecting my hair strand from heat styling without making it "greasy or heavy"! 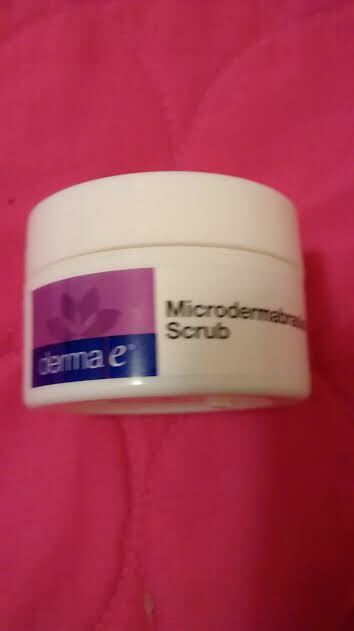 I tried the Derma e microscrub in the shower which gently scrubbed the dead skin cells off my face plus had an energizing citrus/orange scent! I tried and love the eye shadow in which I did green/gold eye makeup look which I loved! 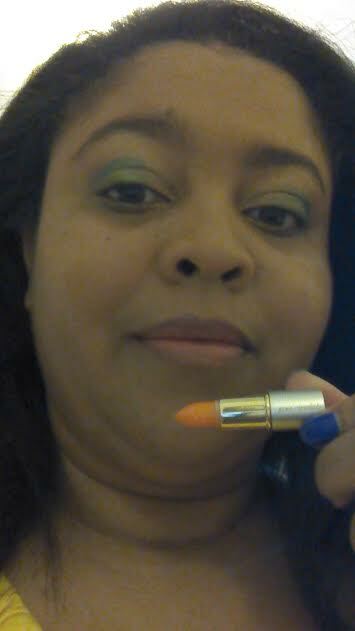 And then I applied the Jane Irredale check/lip tint on my lips which moisturized and gave my lips a faint peach/orange tint! 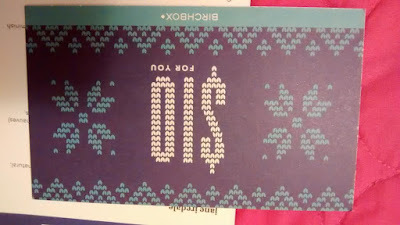 Another great surprise is this $10 Voucher in the Winter Essentials Birchbox which I can use either now to after New Year's Day on future Birchbox purchases! What a great goodie to receive along with the chocolate in this last Birchbox of 2015!! As of right now, I really can't judge this box because I have yet to try out most of these products! But I have a good feeling that I will be surprised after the wedding and Christmas festivities when I use these items to get my skin/hair/makeup ready!! 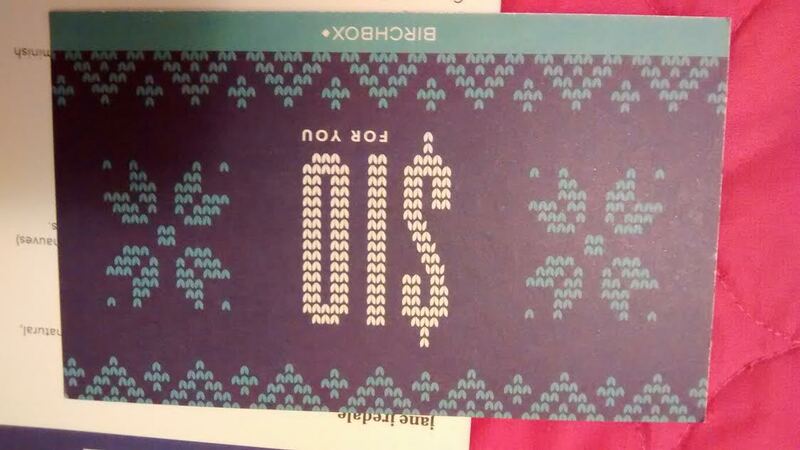 What is your thoughts with this or any other December Birchbox? Love the derma e! Is the $10 a gift card or a coupon ($10 off of $$$ purchase or more)? Awesome :) that's a great deal! 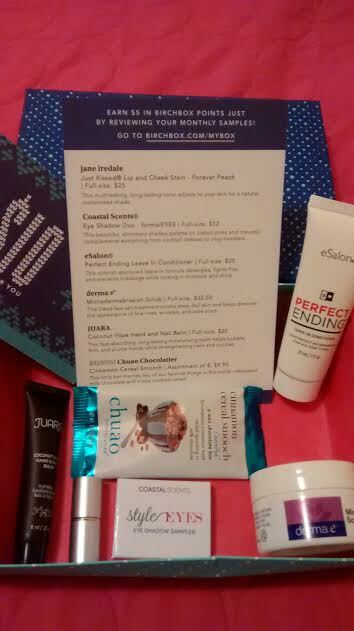 I have never heard of Birchbox before but it sounds pretty cool. Thanks for sharing! Thank you, Brittany! Do you want me to send a referral code for your box for $5! That way you can experience either a surprise or if you are mostly like me, chose a Editor Curated box! Thank you, Allison! 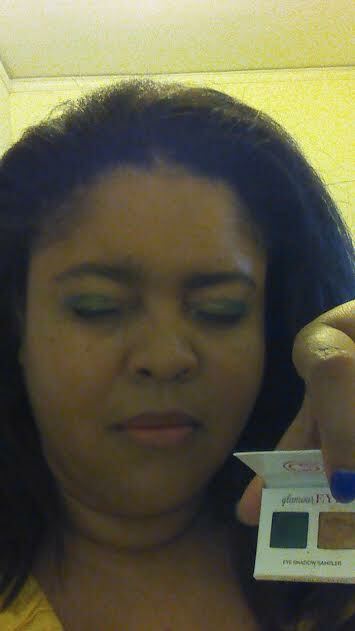 I knew I needed to get pics quickly so I can eat my chocolate :) And I did enter your Pur Contour Contest! 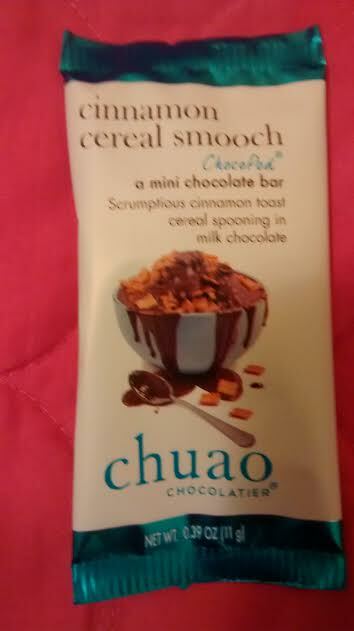 I ate my chocolate right after I snapped the picture, too. Getting a 6th item for 10 extra points that happens to be chocolate = score. I already used my $10 off $35 coupon code. They expire in less than a month. I wish they let them last a little longer. Thank you, Kimberly! I noticed several ladies eat their chocolate immediately too! I know I will use my 10 for a rainy day! Thank you, Brigette! I am dubious of the peach shade of this tinted lip/check combo (I saw there was red and pink which I would rather have) but I step out of my makeup comfort zone and tried it! Love Derma E! They're such a great brand! 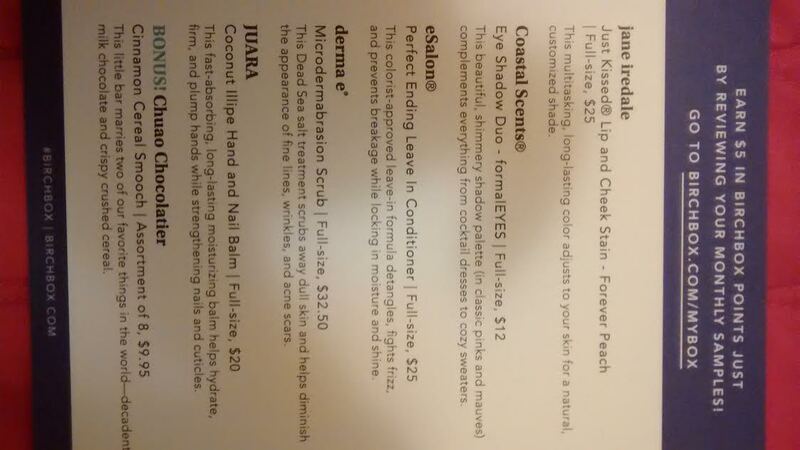 Can't wait to hear how the eSalon product worked for you; I have curly/crazy hair, so I need this info!!! Thank you, Blondie! 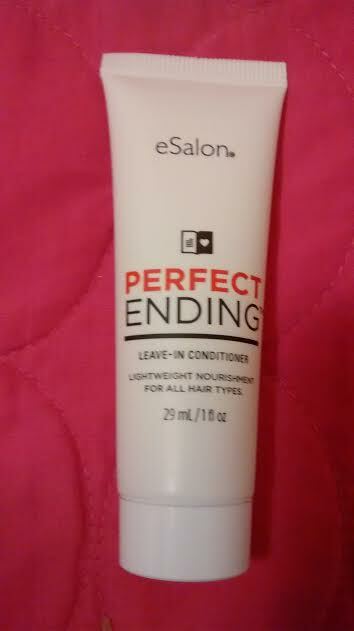 I will let you know about my experience with eSalon on my relaxed hair! I thought about getting this box but went with a completely random box instead. 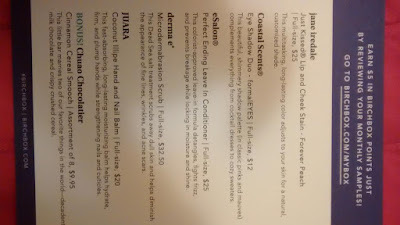 I wish I had gotten this one because that derma-e scrub sounds awesome. Thank you, Cassie! You can still buy this box for $15 or $10 depending if you already subscribed to Birchbox...just search for December Winter Essentials! This sounds like a great box! I'm always so curious to see what's in boxes, as I can't get them where I live (outside the US). Thank you, Kat! I love checking out Birchboxes in Canada, UK, France, and Mexico!! Beauty brings all women together! Great bags for December month, Ursula! I've the Juara and will be taking it out to use since I've been hard on my hands lately. I can't wait to read your reviews. Thank you, Sharon! 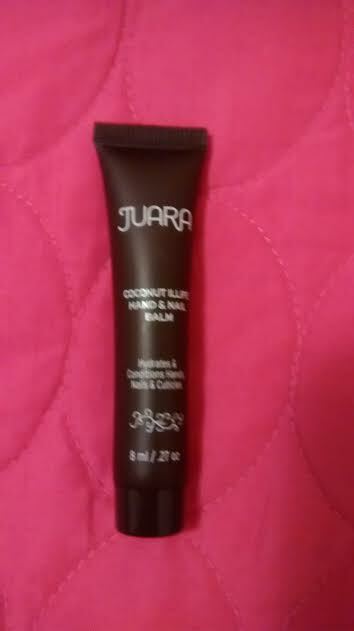 I tried the Juara and its more like Lotion than Balm (there is a difference in thickness!) but it conditioned my hand due to all this holiday and wedding prepping that been going on! I'm so jelly, I don't have birchbox :( boo. Okay so that peach I think will actually looks really great on your skin tone. Coconut hand cream, omg love! Totally random that you didn't get the mauve colours but overall looks like you got quite a few awesome products. I like yours but I really like mine! Wish I had a lipstick in mine however. Happy Holidays! Thanks, Cheryl! Prob check out the exchange/blog groups on Facebook for someone doing beauty swaps! Merrry Christmas and Happy New Year's !! I didn't get any chocolate in my box! I am foodie and the cereal bag was all I was interested in, LOL. As always great box. I love your unboxing posts. So interesting to see which products you got! Love the look of the eyeshadow duo, such gorgeous shades.